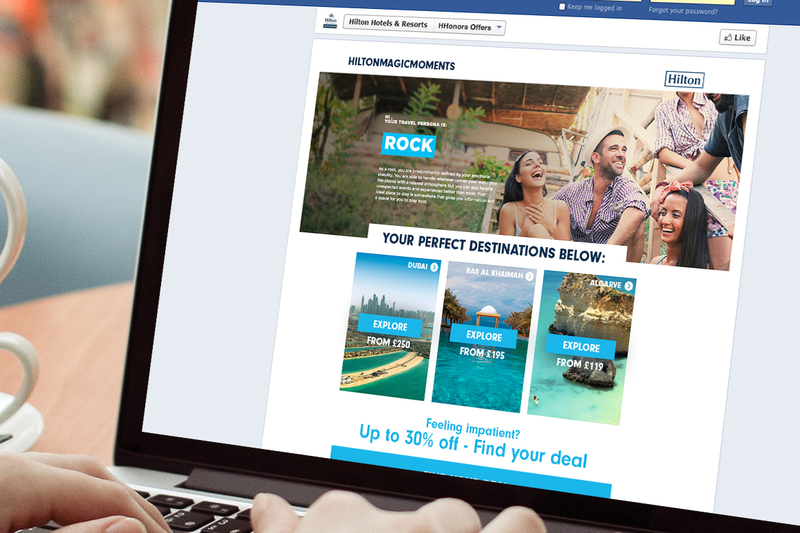 To support the drive for weekend market share in the social environment online, Hilton will develop an always-on weekend focus to drive weekend stays in 2017, featuring compelling and relevant weekend messaging and content that will be distributed through key comms channels. 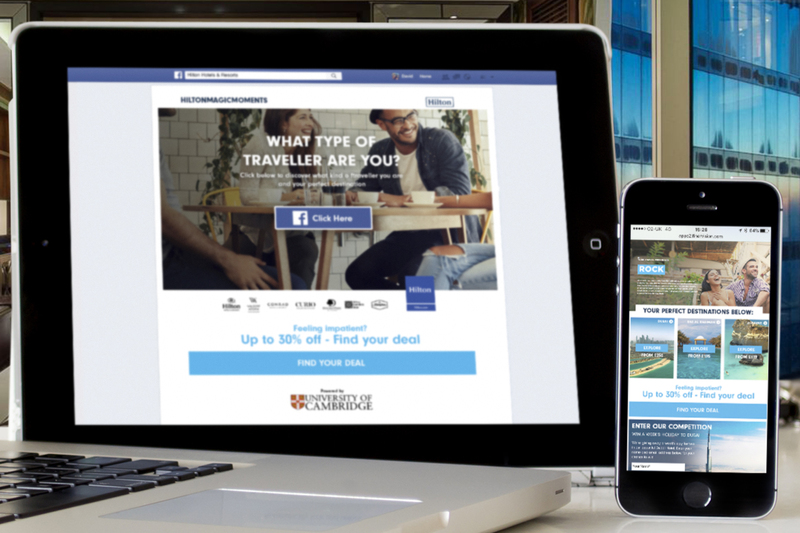 Hilton had worked in partnership with Cambridge University to research Psychometric profiling to inform targeted social media promotions and dramatically improve ROI. 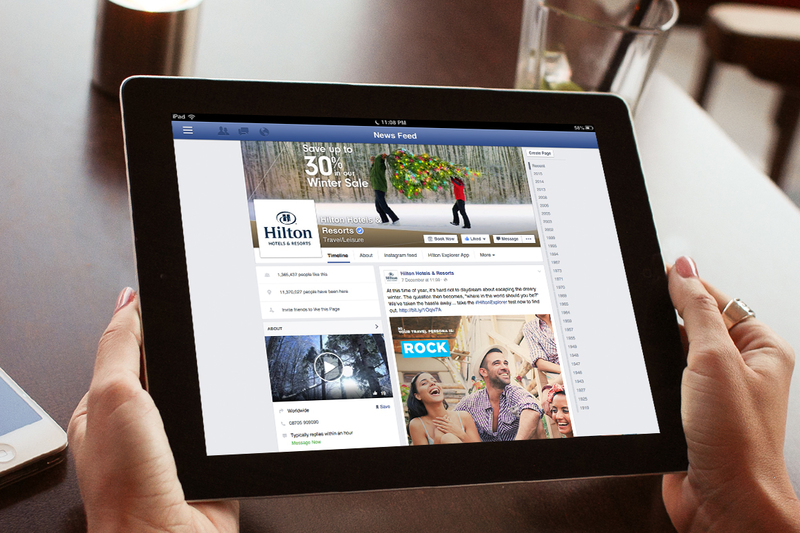 Using this data, we created 17 personas (different personality types) which, based on the research undertaken by Hilton, allowed us to group Hilton's Facebook followers and to suggest weekend breaks that a best suited for the individual. 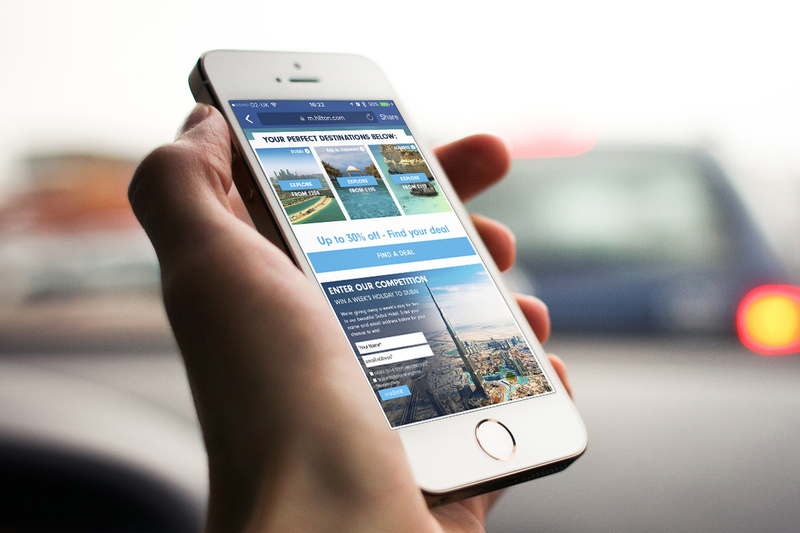 This allowed us to push a 75% increase in ROI and a 35% increase in revenue.